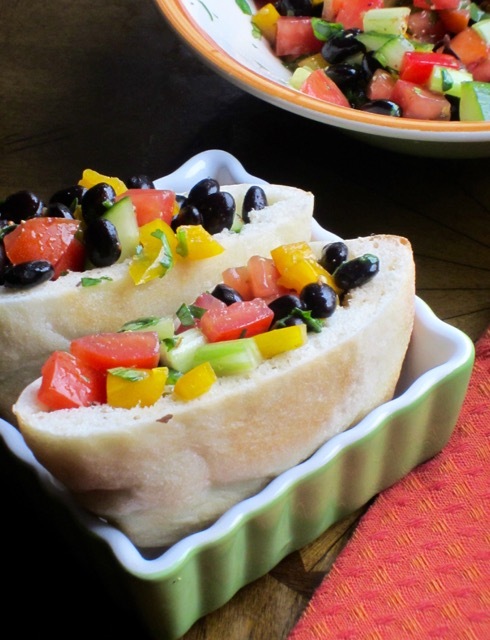 Make the black bean salad. 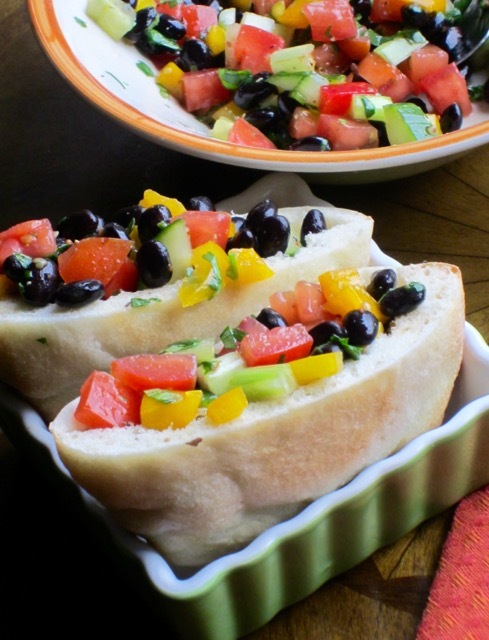 Toss the salad and use it to fill the wraps. 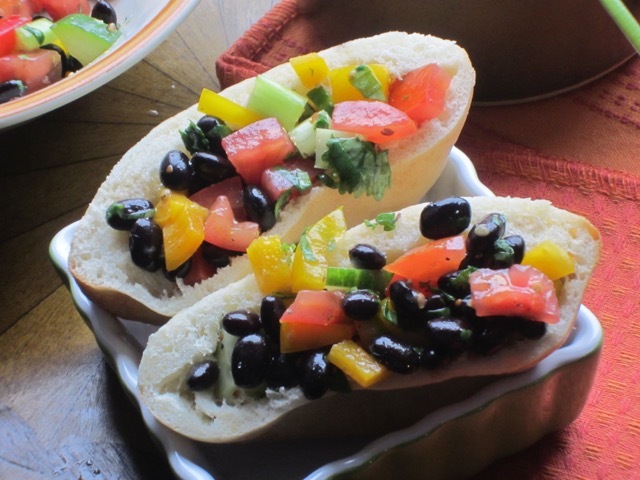 To assemble the pockets: Fill the pockets with the black bean salad. You can top with cheese (optional), and parsley or cilantro. Serve immediately.